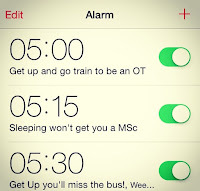 I really wanted to post about a day in my life at an OT Student that commutes... So I picked today as an example. It's the first day back after placement so as good an example as any. I commute down today and stay in a hotel tonight as I am in uni tomorrow morning too. 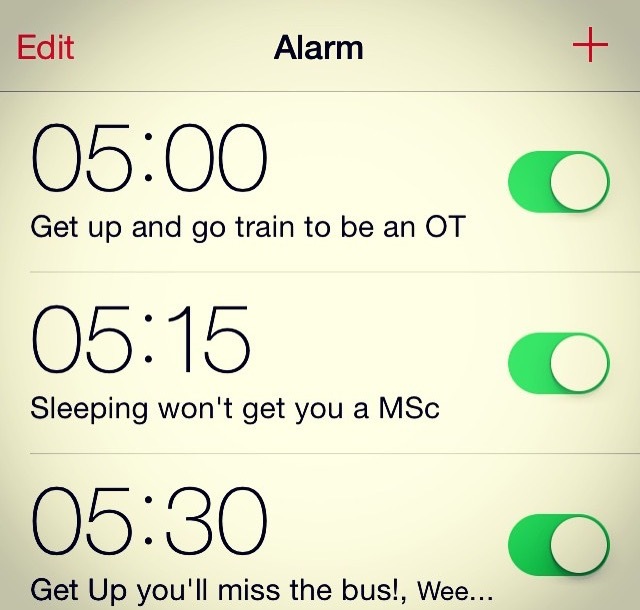 05:00 - Alarm goes off! - This wake up call never gets any easier, you'd think after 9 months I would be used to it but it really is possibly the worst part about commuting to uni. 05:15 - Get ready for the day - At least the shower wakes me up enough to make sure I have all the things I need for the day at university. 05:45 - Breakfast - Only time to grab a cereal bar and a banana, pack some fruit and a packet of crisps for on the train. 05:55 - Leave house - Thankfully it's a dry morning today, its always harder to motivate myself to leave when its cold and dark. 06:05 - Catch bus to station - The bus is on time for once and I can sit staring out at the world for 15 mins, whilst I try to wake up some more. 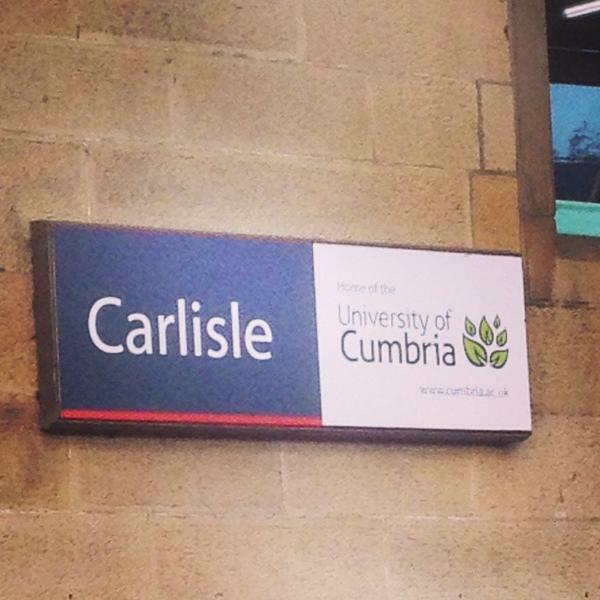 06:52 - Catch train to Carlisle - Sadly train was late in arriving into station so had to stand on platform for ten mins. Its normally there when I get there as I get on at first stop. I manage to do a little reading on the train ahead of this mornings class. I make time to eat some more fruit and a packet of crisps before the train pulls into Carlisle. 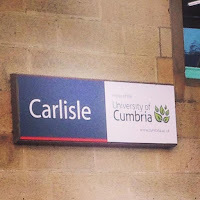 08:05 - Arrive in Carlisle and meet a fellow student at train station before walking to uni. It's good to catch up with her about our week off last week and also placement. 08:30 - I've got a meeting with my tutor to go over some feedback about my last assignment which we got back whilst we were on placement. 09:30 - Class begins - Lots of chatting and catching up with each other and sharing placement stories whilst going through the theory in today's class. It's a good opportunity to link the theory to practice and work out how it all fits together. 10:45 - Break time - Time to grab a drink and some chocolate to keep me going until lunch. 11:15 - Back into class to finish the mornings session and discuss our formative assessment that is due next week. 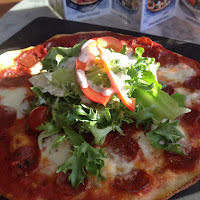 12:30 - Lunch time and I'm starving again; Early starts to the day make you hungry, it feels like tea time to my body. 13:00 - Meet with my learning group to go over the afternoon task following this mornings class; A tad strange today as a few people were missing from our group so there was just two of us! We do as much as we can but realise some of the information is with one of the missing girls so will need to follow this up tomorrow. 16:00 - Checked into hotel for the night - I'm sharing with one of the other girls from the course, which is a plus as it means we can chat and reflect on first day back. 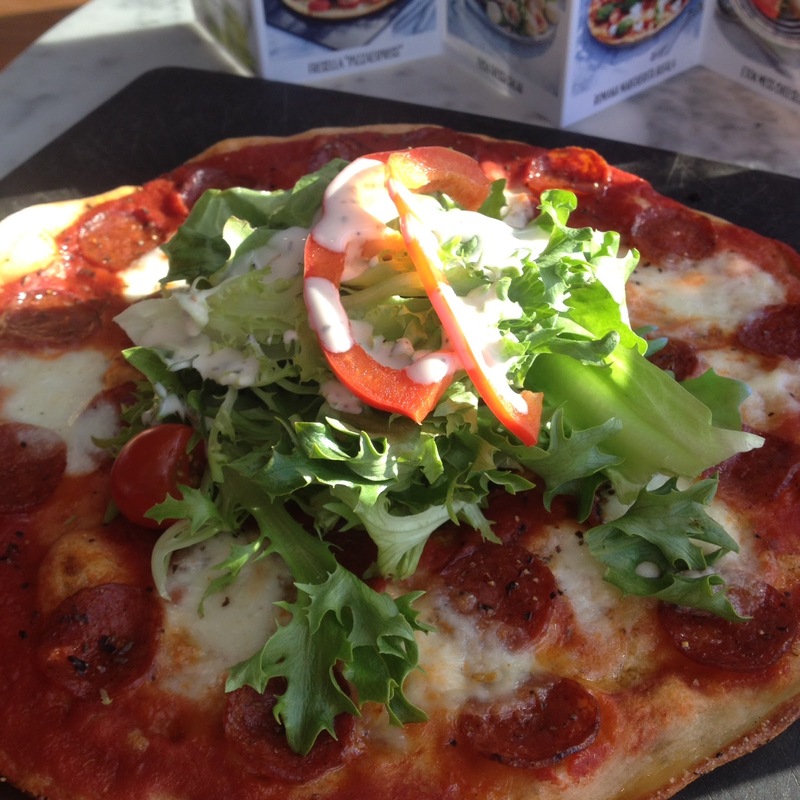 17:00 - Grabbed some dinner - Pizza Express is a local favourite when I'm in Carlisle and loving the NUS discount on a Monday! 18:30 - Trip to supermarket to get some supplies for breakfast and lunch tomorrow, before heading back to the hotel. 20:30 - Time to relax as the early start is catching up with me, will zone out in front of the TV with a cup of tea for a while before heading to bed.